Please provide specific issue and location information. The junk in the front yard is unsightly. Needs to be put in the back yard. I thinks it is a second hand business because the junk keeps recycling. We appreciate you taking the time to submit a request for service to the City of Tucson, Department of Transportation. Service request #6066 has been created to investigate your concern at 1402 S Kolb Rd . You may track the status of your request by calling (520) 791-3154. Overgrown weeds and non-running car. is not maintained by the City of Tucson. 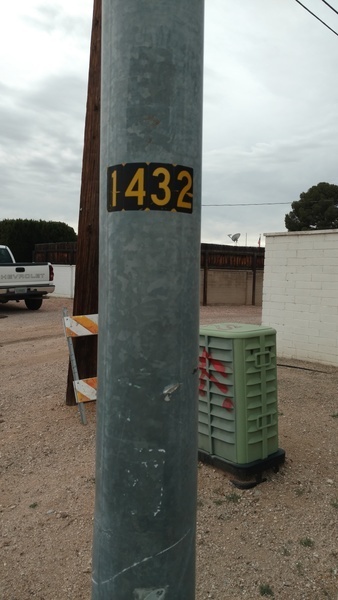 We can refer your service request to the City of Tucson, Code Enforcement Division for follow up with the property owner. See City Code, Article II, Chapter 25-55. The owner, occupant or agent in charge of any lot, piece or parcel of land within the corporate limits of the city shall, within thirty (30) days after receipt of a notice from any city department, remove any trees, shrubs, or other vegetation growing upon the right-of-way, street or alley adjoining the same in accordance with the instructions contained in such notice. It shall be the duty of each owner, occupant or agent in charge of property within the city to keep the space between the property line adjacent to the street and the curbline of the street free from rank grass and weeds at all times. Is this the address with overgrown vegetation? several potholes at this address and in the intersection. We appreciate you taking the time to submit a request for service to the City of Tucson, Department of Transportation. Service request #6060 has been created to investigate your concern at 1842 S Avenida Ursa . You may track the status of your request by calling (520) 791-3154. We appreciate you taking the time to submit a request for service to the City of Tucson, Department of Transportation. We need more information to process your request. Please reply to this email with the following information, how many potholes are you requesting within the same street? which direction are they heading? We appreciate you taking the time to submit a request for service to the City of Tucson, Department of Transportation. We need more information to process your request. Please reply to this email with the following information, what is it that you are requesting? where is this located, cross streets and or address? We appreciate you taking the time to submit a request for service to the City of Tucson, Department of Transportation. We need more information to process your request. Please reply to this email with the following information. What is it that you are requesting? Where is it located, address and or cross streets?